The two silks I am sharing today are probably my personal favorites! The first is Elven Elegance, dyed in shades of blues and greens. The art nouveau style white trees have flowering branches, and the tengwar script is written in shimmering gold resist. 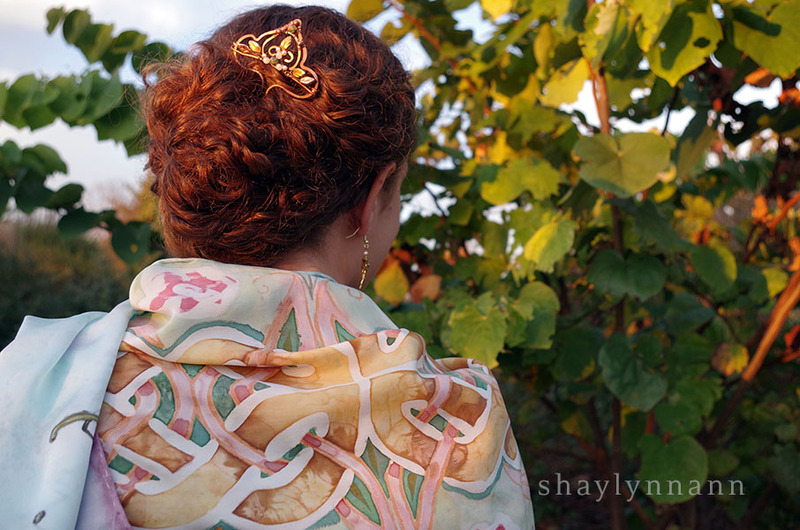 This one is my Colorful Celtic Knotwork scarf, in my most time-intensive design. I traced the knotwork on by hand and outlined it in a mix of white resist (which leaves raw silk behind) and gold resist (which embeds into the fibers and adds iridescence), then painted the dye on with a tiny paintbrush. Before the dye dried, I sprinkled salt crystals on top to create a speckled texture, and once the entire scarf was painted I added shadows in the over-under parts of the designs on the knotwork. This silk is made of a slightly heavier weave and hand-rolled hems which give this a little extra drape. You can see my previous blog post about the constellation and green elven scarves here, and the blog post about making silk scarves here. And now for the lovely pictures with my model Emily! Elven poetry in proper Quenya in the Tengwar script, for all you awesome Tolkienites out there! Here you can see the swirling tree roots! (These earrings are new and not yet on my shop-- they feature lampworked beads with silver inlay made by another artisan, and real mint leaves which I cast in fine silver). 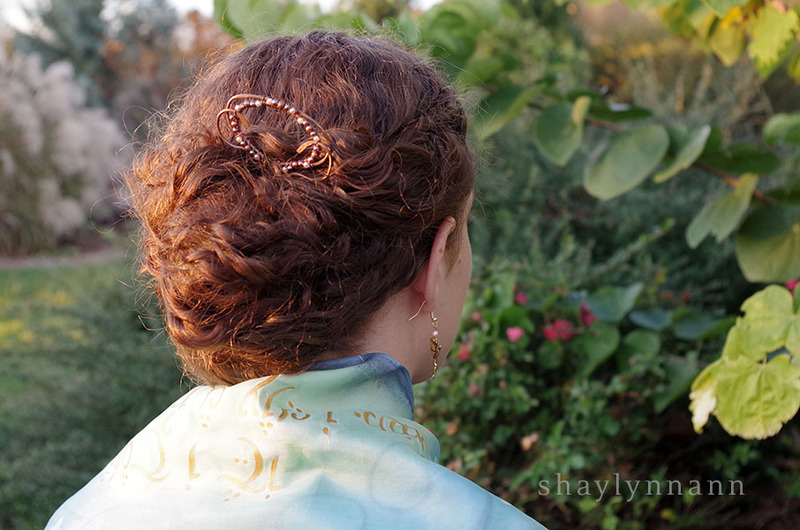 Emily is also wearing the braided celtic ring, the Eveningstar necklace, and the Elven leaf vine cuff. And here we paired it with the freshwater pearl hair fork and a pair of fairy earrings I am uploading this week! I envision this silk being worn more as a wrap than as a scarf, so you can see the full design. Here you can see the flower spray hair clip too. Just look at how luxuriously drapey that silk is! I was a little petrified to dye this one since it's a thicker silk. Paired with the Alponse Mucha inspired hair fork. Autumn nights really are the best for photoshoots. 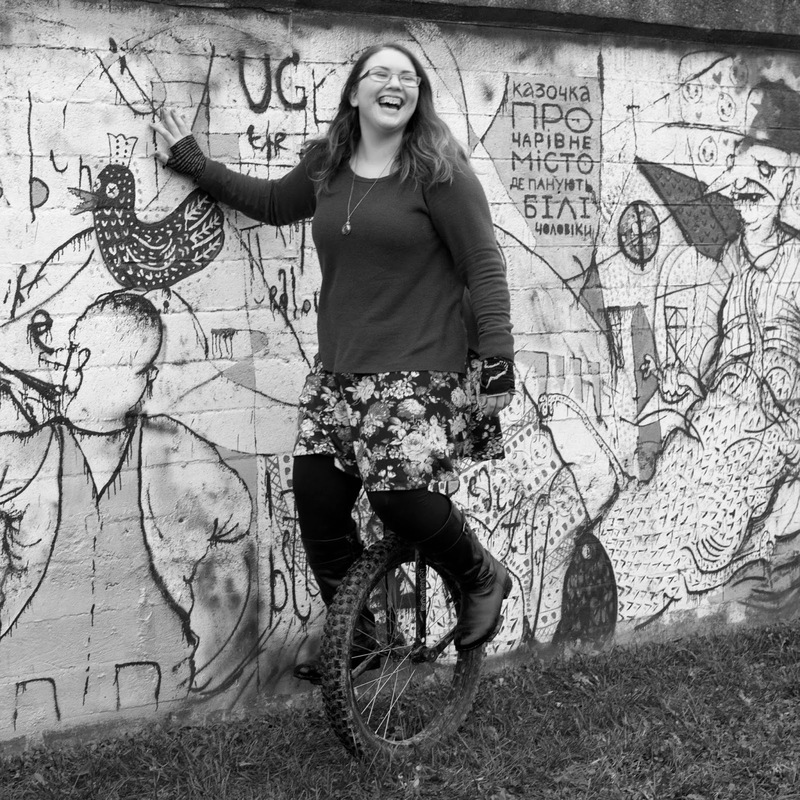 I'm so incredibly pleased with these pictures and Emily and I had a blast. I hope you've enjoyed seeing the pictures as much as we enjoyed taking them!